Social changes and health – what is it about? 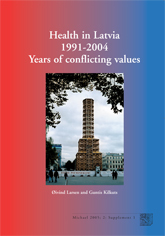 What happened to Latvian health care 1991–2004? Conclusions: What did we learn about social change and health?